TCC-Modexpress was founded in 1987 by three former employees of a worldwide operating forwarding company. Having considerable knowledge and experience in the transport sector they decided to start their own company in order to pursue their vision of becoming an excellent Freight Service Provider with a strong personal focus on their customers. TCC stands for The Cargo Company and “Modexpress” was added to the company name to reflect their beginnings, specializing in freight services to the clothing and textile industry. In recent years, TCC-Modexpress has evolved into a general cargo forwarder offering a wide range of services; including sea, air and road freight, warehousing, distribution within Europe and many other value adding and fiscal representative services. With the support of our worldwide agent network we are able to provide customers with coverage worldwide. One of our specialties is servicing the freight needs of the carpet and flooring industry. 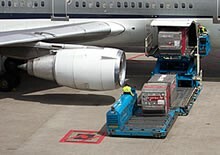 We can not only arrange your full container loads, but also have a consolidation shipment service. In collaboration with our logistics partners we are able to collect carpet and flooring products from suppliers within and outside Europe. 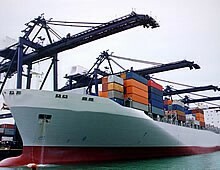 The individual shipments are then combined at a warehouse facility to fill a full container load. Our office and warehouse are located close to the Port and City Centre of Amsterdam and also close to Amsterdam Airport (Schiphol) and near to access roads. Ideally situated to offer import, export and warehousing services. TCC modexpress is by no means the largest freight forwarder nor do we intend to achieve this accolade. Our goal is simply to be outstanding in servicing the needs of our customer. We guarantee excellent and efficient service. On all our services the latest Fenex conditions are applicable.